I recently returned from a visit to London for a family vacation, and naturally several of the great London museums were on our itinerary. As someone who has interned with various museums in the US, and visited others as an art history student, I was interested in London’s art scene. London was, and remains, an incredible center for the arts, and this status is reflected in its museums, of which some of the most famous are the British Museum, the National Gallery, and the Victoria & Albert Museum. The British Museum is perhaps best known as the contested home of the Parthenon (or Elgin) Marbles, and their removal from Greece is an ongoing political and legal struggle. British aristocrat Lord Elgin removed the marbles in the early 1800s with the permission of the Ottoman Empire, then in control of Greece. Greece has been arguing for their return ever since; lawyer Amal Clooney has recently advised Greece on the high-profile case. 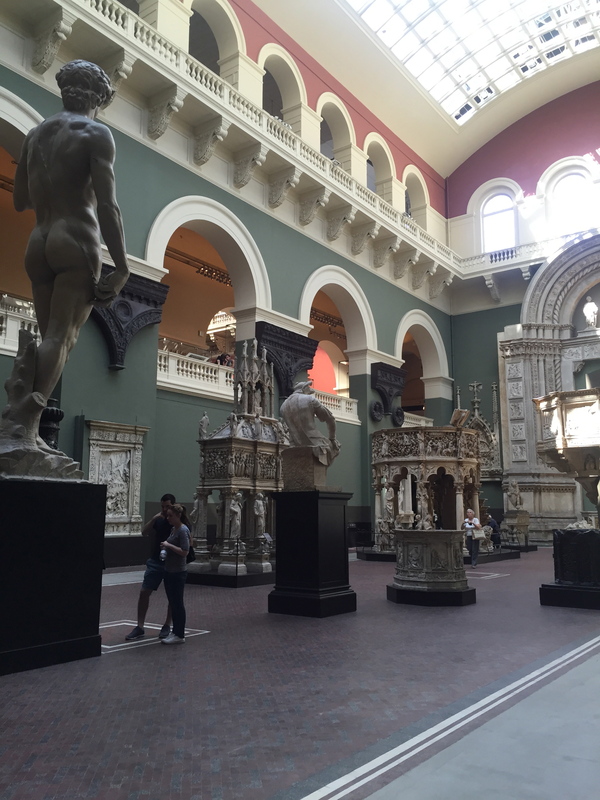 As someone interested in the Italian Renaissance, I was most interested in visiting the Victoria & Albert Museum (abbreviated as the V&A), which has a large collection of objects from that period. Founded in 1852 and named for Queen Victoria and Prince Albert, the museum’s inception is linked to the Great Exhibition of 1851, which showcased international exhibitions of cultural artifacts and manufacturing. Today, it houses one of the largest collections of decorative arts objects in the world. I found that in London works of art are largely separated based on a 19th century understanding of a hierarchy of art: the National Gallery houses paintings, considered “High Art,” while the V&A houses decorative arts and objects associated with design, or objects that are meant to be both aesthetically pleasing and functional. I very much enjoyed visiting the medieval and Renaissance collections at the V&A; some of the highlights of the visit for me were a stained glass window from Sainte-Chapelle in Paris and the tracery of a Gothic church window: both are examples of works that one normally must view from a distance. The V&A has such an incredible and eclectic collection of objects (that I have not often seen in other museums) from all over the world that I found I could have easily spent days there trying to take it all in. 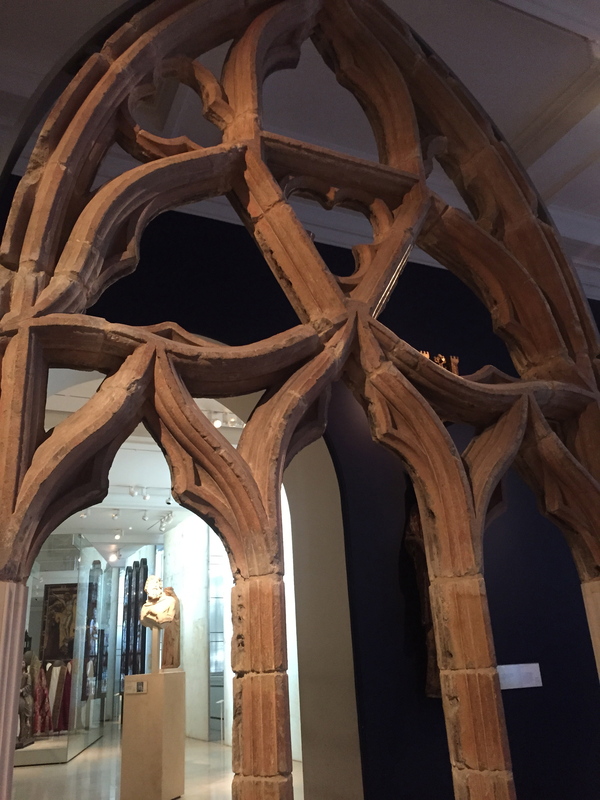 Tracery of a Gothic window from the V&A. I very much enjoyed visiting the medieval and Renaissance collections at the V&A; some of the highlights of the visit for me were a stained glass window from Sainte-Chapelle in Paris and the tracery of a Gothic church window: both are examples of works that one normally must view from a distance. The V&A has such an incredible and eclectic collection of objects (that I have not often seen in other museums) from all over the world that I found I could have honestly spent days there trying to take it all in. Another very interesting feature of the V&A is the cast courts. In the mid-19th century, various European leaders signed an agreement stating that they would facilitate the creation of plaster casts of some of their national masterpieces of architecture and sculpture so that citizens of other nations would be able to visit them locally without the necessity or difficulties of travel. 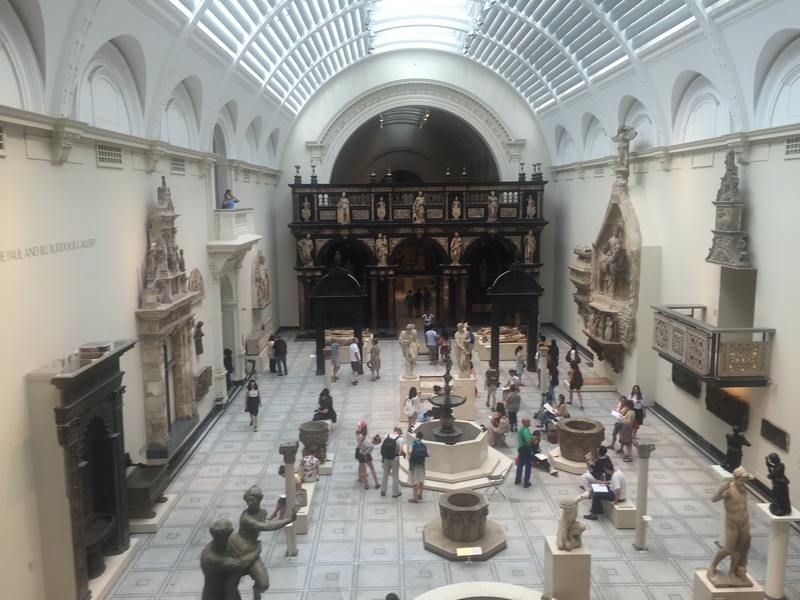 A visitor to the V&A could see a cast of Michelangelo’s David from Florence, Trajan’s Column from Rome, or the massive portal of Santiago de Compostela, all in the same place. The two high-ceilinged galleries are packed with plaster casts of some of the great works of the European canon (as the “canon” was defined in the 19th century, which privileged works from Italy and France), and some lesser-known works such as the tomb effigies of medieval royalty. One of the cast courts at the V&A. On the face of it, in the age before the Internet, this seems to be a positive idea. For one, a visitor will never be able to get as close to the real Trajan’s Column as she can to the plaster cast in the V&A. However, there is also something appropriative about this endeavor in keeping with the age of European imperialism and its acquisitive nature, a period that these objects were certainly a part of. 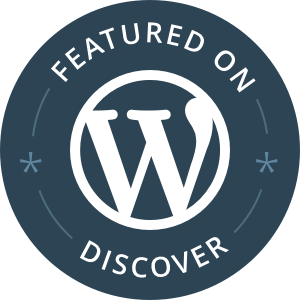 I found them interesting to view from this standpoint, as relics of art history and culture as studied in the 19th century, in a world that had not yet experienced the cultural shocks of the 20th century, especially World War I. Today, these plaster casts are a testament to a different era of art history, yet still have something to teach us. They have shifted from simple casts of famous works to artifacts in their own right, and thus can serve as a teaching tool for how art history was studied in the 19th century. 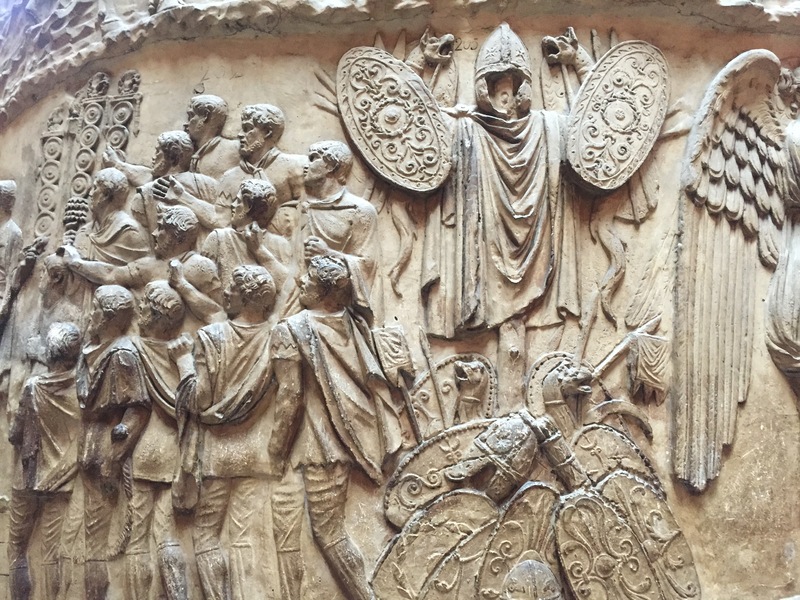 Detail of the cast of Trajan’s Column at the V&A.